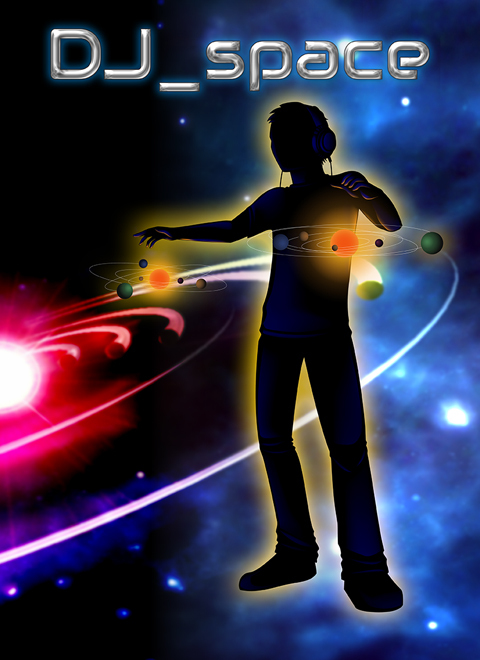 The DJ_space “Universe” consists of a number of galaxies that occupy an empty area of space created by you, each galaxy is a composition and within the galaxy is all different suns that have orbiting music planets. To create a new galaxy of music you will start with a large blank area of space that shows a range of planets that can be placed around a sun, doing this creates your first section of your track. Doing this with more suns and planets you can eventually compose your own track, it can be as long as you want and have as many samples of music as you need to become your very own space DJ! To promote DJ Space and grow its popularity (top games), use the embed code provided on your homepage, blog, forums and elsewhere you desire. Or try our widget.